This disclosure policy was updated on January 2nd, 2015. Ashley is PolishAddicted is a personal blog created, written and edited by me. All opinions expressed on this blog are solely my own and I have not been compensated for them. Ashley is PolishAddicted accepts products for review from brands and public relations representatives. Receipt of a product does not guarantee a published review. Any product received is not considered compensation for a review. 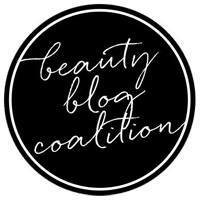 Ashley is PolishAddicted only accepts products for review that are in line with the content of this blog and are products I would have considered purchasing myself. Reviews will always be an honest, unbiased opinion of the product(s) based on the use of the product. Reviews will not be provided to brands or PR representatives for pre-approval, nor will reviews be edited after published if requested. In compliance with the FTC guidelines, Ashley is PolishAddicted posts all relevant information at the top of each post. Please see below for a further explanation of each button's meaning. Press Sample - This button specifies that the post contains a product (or products) sent for review consideration by a brand or PR representative. As stated above, all product reviews will be my honest opinion. If this appears in a nail art post where I have previously reviewed the product I will link the original review of the product within the post. Purchased by Me - This button specifies that the product(s) in the post were purchased by me. This button may appear in concurrently with the Press Sample button, especially in nail art posts where multiple polishes are used. Elevation Polish Team Member - I worked for Elevation Polish from January 2015 - July 2015, sharing posts and answering questions on social media. I also blogged for Elevation Polish from November 2013-October 2015. Any reviews published during this time are my honest and unbiased opinion of the polishes but I no longer work for, or support this brand, in any way. Nothing to Disclose - This button will appear almost exclusively on nail art posts where no PR samples have been used. All products will either be purchased by me or products I received as gifts. Sponsored Post - This button indicates the post has been sponsored. Links in sponsored posts will carry rel=nofollow tags. I will not accept sponsored posts for products I do not believe in. Affiliate Link - This button indicates that the post contains an affiliate link. Purchases made via affiliate links will provide a small commission to me but do not affect the purchaser's end of the transaction. Press Release - This button specifies that the post is a press release sent out by a brand or PR representative with news about upcoming changes or collections. Giveaway - This button is used for giveaways. I will state at the bottom of each giveaway who provided the item(s). Paid advertisements are handled through Passionfruit Ads and will appear in the sidebar. All ads are approved by me and will not affect the content of this blog. If you have any questions concerning anything in this policy, or you are affiliated with a company and would like to contact me about possibly sending product for review please e-mail me at polishaddicted@gmail.com.